Devon in the South West of England is a popular tourist destination with millions of visitors a year heading to the county that boasts 450 miles of beaches and cliffs spread across its northern and southern coastlines. 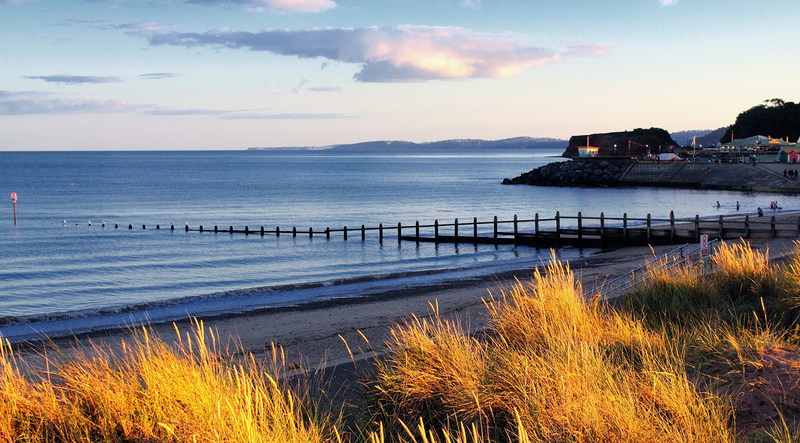 Relax in Devon and explore the mixture of stunning coast scenery and rolling moorland. Take your time to find peace and tranquility in the wide open spaces underneath the big skies. 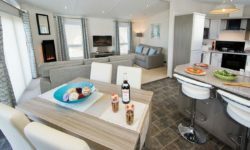 If you are seeking a more lively break then head for the popular resorts of Bideford in the North or the picturesque South coast harbour towns of Brixham, Paignton and Torquay, known as the English Riviera. 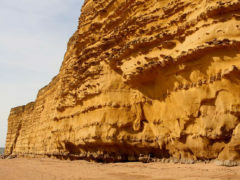 Devon hosts part of the Jurassic Coast, a walk through time, running East from neighbouring Dorset to Exmouth and offers many opportunities for coastal walks and fossil hunting. 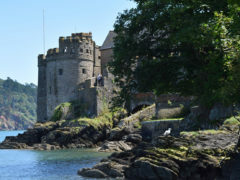 Devon has an array of castles to visit including Castle Drogo – the last castle to be built in England, Powderham Castle and Compton Castle. 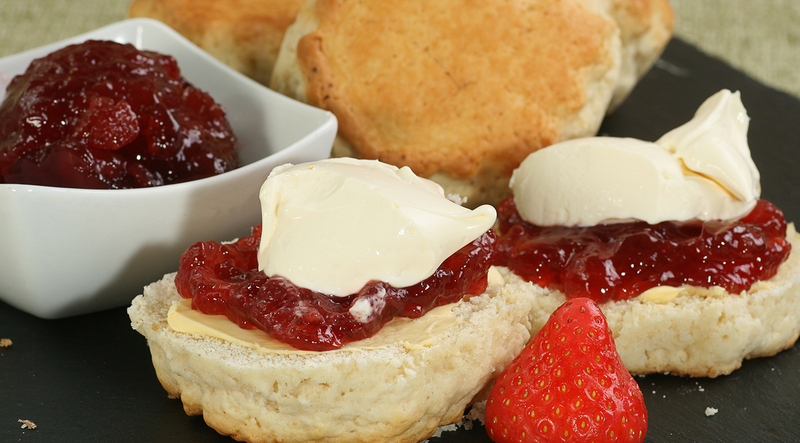 Devon is a foodie’s heaven, well known for locally sourced food and drink with specialities including clotted cream, fudge, farmhouse cheeses, luxurious ice cream and Devonshire Splits – delicious split buns filled with cream and jam. 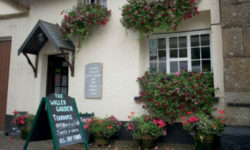 And don’t forget to sample a pint or two of the local scrumpy, Devon’s traditional drink! 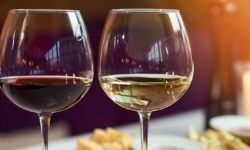 You can always find a tempting spot to grab a bite with pubs and eateries scattered across the county as well as a collection of high quality restaurants around Axminster, Ilfracombe and Lyme Regis, with another cluster around Totnes, Dartmouth and Modbury. 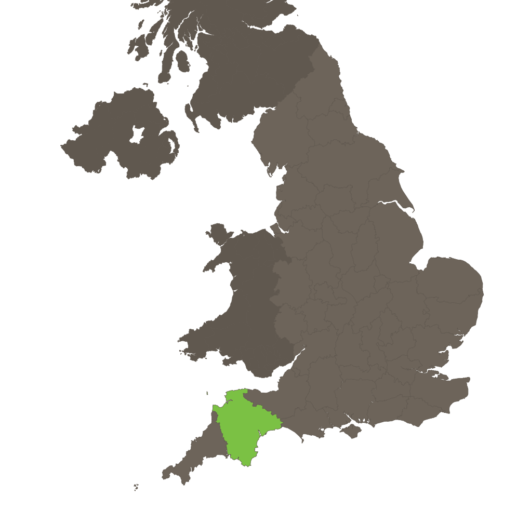 Devon is in the South West of England, bordering Cornwall to the west, Somerset and Dorset to the east. 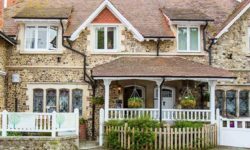 A popular holiday destination with warm summers and mild winters, the county has a population of around 800,000 people and is a picturesque mixture of moorland, medieval villages, sandy beaches, fishing villages and fossil rich cliffs. Devon is home to two national parks and 5 areas of Outstanding Natural Beauty. 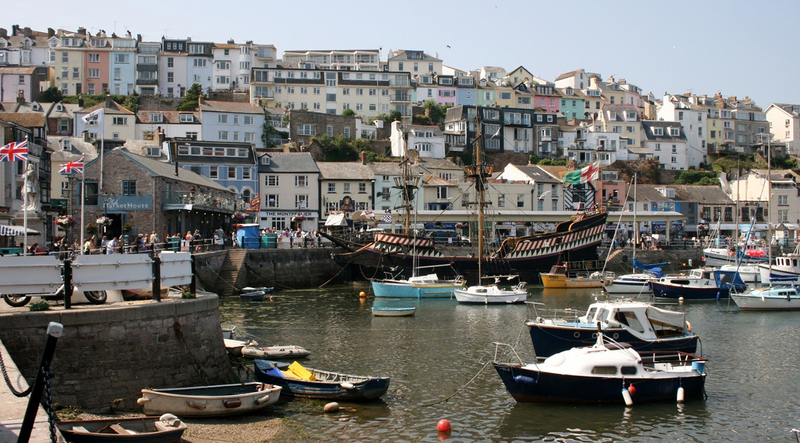 The county hosts coastal towns such as Brixham, Paignton, Torquay, known since Victorian times as the English Riviera, and Dawlish, whilst further afield the county town and ancient city of Exeter on the River Exe attracts large numbers of visitors. Click here to browse our Devon guide section including our things to do in Devon guide. Human habitation in Devon can be traced back maybe 40,000 years with human remains being found in Torquay on display at the visitor attraction Kents Cavern, whilst the wilds of Dartmoor were inhabited by Mesolithic hunters from around 6,000 BC. The Romans occupied the area for about 350 years before the Saxons infiltrated and eventually Devon was largely part of the Kingdom of Wessex. 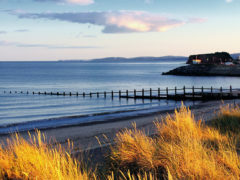 The 19th century saw the railways create improved access to Devon and a number of seaside resorts developed, Exmouth being the first, helping to grow the tourism industry which remains crucial to the local economy today. 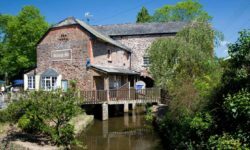 Devon has a history stretching back to ancient times of producing tin and copper, which has helped the miners enjoy wealth and independence down the years. 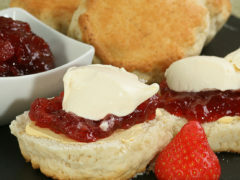 Both fishing and agriculture have historically been core industries for Devon, the latter having now diversified into a number of locally sourced food ventures as part of the vibrant tourism industry – you’ll be sure to find something tasty to eat, and not just the cream teas for which the area is famous! Perhaps not surprisingly given its coastlines, Devon has strong maritime links with Sir Francis Drake, Sir Walter Rayleigh and Sir Francis Chichester amongst the well-known Devonian figures. Though in more recent times it is the birthplace of Agatha Christie with many local settings, like Burgh Island which featured in Evil under the Sun. Devon has two distinct coastlines, North and South, and more miles of road than any other county in the UK. 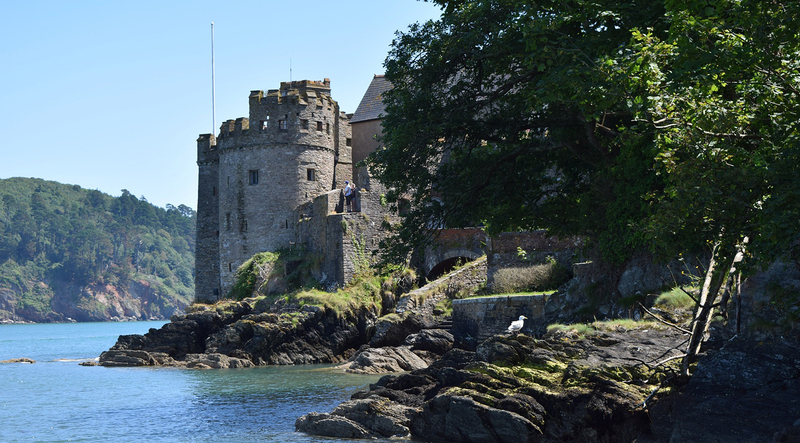 The rolling countryside, quaint villages and relatively mild climate make Devon a great holiday destination. North Devon is very rural, though its larger towns include Bideford, Ilfracombe, Barnstaple and Great Torrington. The series of beaches around Bideford Bay – Woolacombe, Saunton, Croyde and Westward Ho! provide excellent surfing conditions and along with parts of neighbouring Cornwall and South Wales are the centre of the UK’s surfing scene. The 267 square mile national park of Exmoor, straddling both Somerset and Devon, extends to the North Devon coast and culminates in spectacular cliffs, the highest in southern Britain, at Great Hangman a 318m hog’s back hill with a 250m sheer cliff face at Combe Martin Bay. 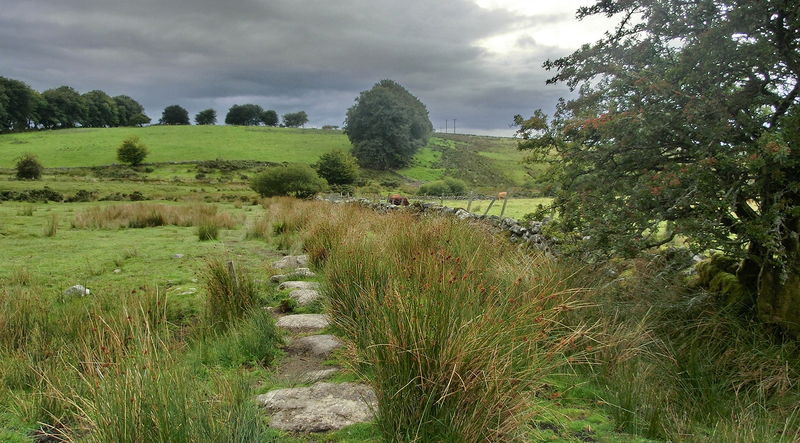 Further inland the working landscape melts into expansive moorland, woodland, plunging valleys and cascading streams. 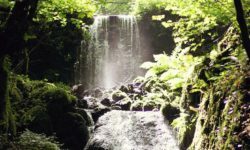 Ever popular with those seeking the outdoors experience, Exmoor offers exhilaration or tranquillity in equal measure. 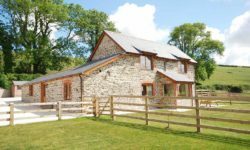 Visitors will be spell bound by the dark starry skies, intrigued by the historic villages and fascinated by the local wildlife including deer, otters and of course the Exmoor pony. Exploring by car is ideal. South Devon has a different feel – not for nothing is it home to the English Riviera. 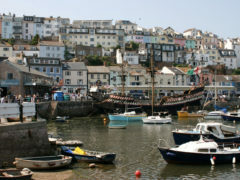 The rolling hillside, home to towns such as Dartmouth, Salcombe and Totnes give way to a series of seaside resorts such as Torquay, Paignton, Exmouth and Sidmouth where sandy beaches and seaside entertainment abound. 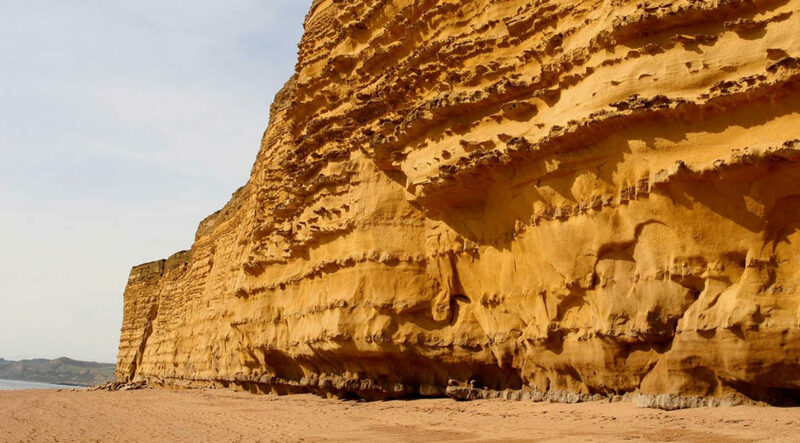 The Jurassic Coast begins at Exmouth and extends 95 miles to Studland Bay in Dorset and is an adventure unlike no other with the landscape telling the story of 185 million years of history. With the dinosaurs gone it is now quite safe – be sure to take a walk, cycle and explore for fossils. 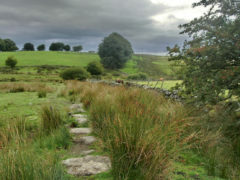 The Dartmoor national park provides a 368 square mile landscape to inspire and invigorate. Activities abound, with canoeing, horse riding, walking, cycling, geocaching and climbing all available. 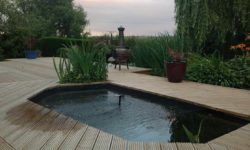 To restore your energy delve into the working landscape and discover respite and sustenance at the local hostelries, restaurants and cafes. Take a day or two to visit the Roman city of Exeter where most of the original Roman wall remains, experience the cobbled streets, independent retailers and atmosphere of the cultural centre on the River Exe. The port city of Plymouth is a historic maritime port, resplendent with cobbled streets in the Barbican district, whilst Sutton Port is home to the National Marine Aquarium. Also in the harbour you will find the Mayflower Steps, the final departure point for the Pilgrim Fathers in 1620 on their voyage to the New World. To find out more about the events happening in Devon be sure to read our guide What’s on in Devon. We also have a guide dedicated to car boot sales in Devon. Devon is well served by picturesque railway routes, with both the Paddington and Waterloo lines serving the county. 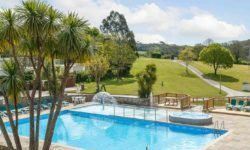 Devon is accessible by car with the M5 motorway going down to Exeter providing an excellent link to the Midlands and North whilst visitors from London can join via the M4, or perhaps enjoy a more scenic route via the M3 and A303 or A30. Exeter Airport receives flights from a number of UK airports as well as international destinations and during the summer is the main airport for flights to the Isles of Scilly. 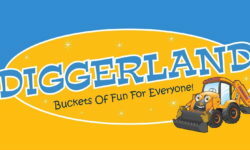 Click here to go to The Tourist Trail homepage.